What Are Sea Breezes and Why Do They Occur? 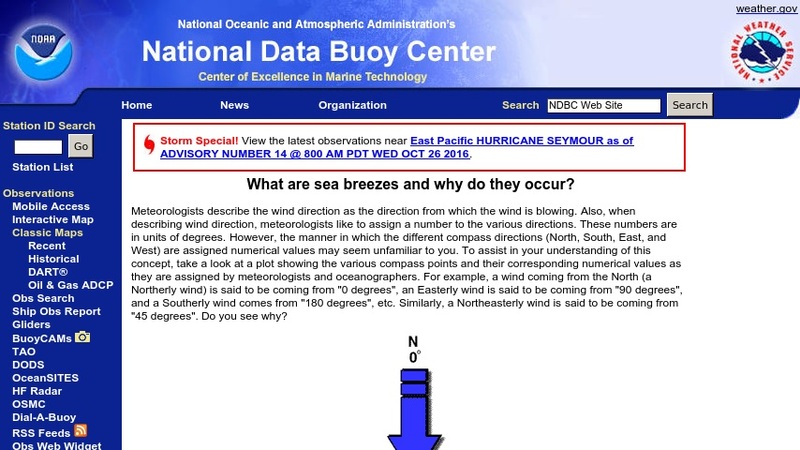 This is part of the National Oceanic and Atmospheric Administration's National Data Buoy Center website. It features text descriptions, graphs, and graphic illustrations to describe the development of land and sea breezes because of the unequal heating rates of land and water.